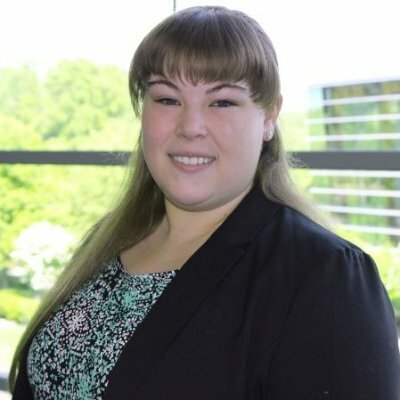 "I work in SAP's North America Marketing department as a Business Analyst and I support a wide variety of stakeholders with reporting, business insight, and operations. Data does not mean anything if it is not interpreted and communicated effectively, and it is my job to ensure that the trends and insights I glean from my analyses is used to inform smarter business decisions among my stakeholders. Every day comes with its own unique requests and challenges, and I enjoy that there is never a "typical day" on the job -- I learn something new on a daily basis! As the operations and reporting lead for our marquee events (300+ customer attendees), I have designed processes to ensure that the data collected on-site is captured efficiently, cleansed, and routed through the proper channels to ensure that our customers receive the appropriate form of follow-up based on their buying behaviors. I then use this data to create executive-level data visualizations as well detailed reporting to track the impact of the event. These post-event reports are consumed by the highest level decision-makers at SAP to understand marketing's impact on new business, and it is rewarding to know that my work is making an impact company-wide." How did you get connected to your current position? "I participated in the Haub School of Business Cooperative Education Program under Todd Krug. My second co-op work term I secured a full-time 8-month position on the team I currently work for in SAP's North America Marketing department supporting the other Business Analysts. I quickly fell in love with the company culture and learned as much as I possibly could about what it takes to be an effective analyst. I took advantage of professional development and networking opportunities available to me since Newtown Square is SAP's North American Headquarters. I was lucky enough to stay on part-time at SAP while I returned to SJU to finish my senior year, and secured a full-time position upon graduation." "The SJU Business Intelligence & Analytics program provided the perfect foundation for the start of my career. I can't say enough about the outstanding faculty and staff that make this program what it is. They took my general interest in the subject and enabled it to flourish into a true passion and unique and marketable skill set. The technical skills I learned in my BI classes were easily transferable to my every day work. When I started my co-op at SAP, my managers were impressed by the skill set I already possessed and that they didn't have to spend extra time training me in tools such as SQL and Microsoft Excel, so I was able to help them with more complex projects earlier on in my experience. I also found that the skills I learned on the job helped me in upper level BI classes like Data Mining, which truly brought things full circle." "Through co-op, I worked 4 months full-time at an insurance company, Port & Curtis, and then 8 months at SAP. I completed my 4-year undergraduate experience with a year of full-time working experience and that set me apart from many when it came time to look for a full-time position after graduation. I fully credit the co-op program with preparing me for success in the business world. It enabled me to get a taste for what I liked (and didn't like) prior to graduation and I was able to speak to my working experiences when interviewing for full-time positions and not just my class experiences. Ultimately, my co-op term at SAP led me to a full-time position that I love at a company that truly makes an impact in people's lives."